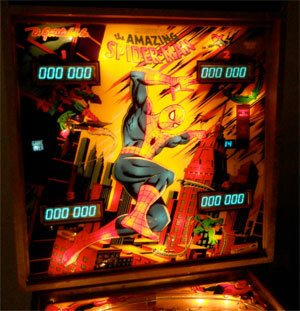 Check out these Gottlieb Amazing Spiderman Pinball Machines for sale. You will also find parts and accessories for current owners including the rubber ring kits, decals, manuals, translites, flyers, sling shots, and vintage ads. 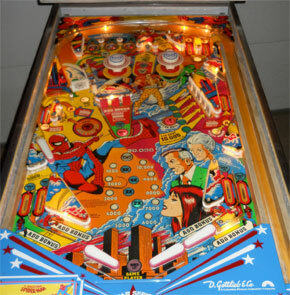 Only 7,625 were produced, and it was the first of Gottlieb's System 80 pinball machines. Stan Lee owned one of the first machines of the assembly line and kept it in his Marvel office until he auctioned it as part of his Stan Lee collection at Heritage Comics Auctions. Are your spidey pinball senses tingling? Also, check out the newer Stern Spider-Man Pinball Machine from 2007.